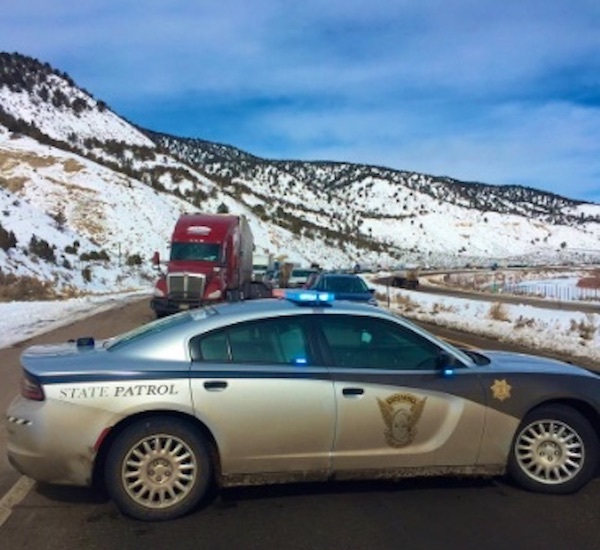 Colorado State Patrol has implemented a safety closure Friday afternoon on Interstate 70 westbound through Glenwood Canyon due to multiple crashes, including one involving a semi-tractor trailer and a van. As of just after 1 p.m., one lane westbound had been reopened, according to a tweet from CSP out of Eagle County. Troopers on-scene reporting one lane OPEN westbound. 🚒🚑🚓Still on scene, Use CAUTION! I-70 westbound through the canyon also remains down to one lane near milemarker 120, due to cleanup from a rockslide on Tuesday morning that resulted in a lengthy closure. Motorists are advised to expect delays while traveling westbound through the canyon. This report will be updated as new information is provided.